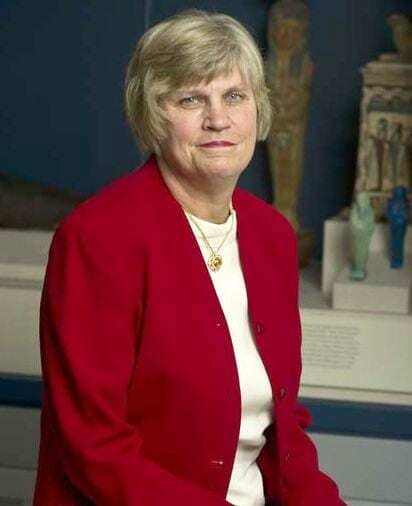 Dr. Betsy M. Bryan is the Alexander Badawy Professor of Egyptian Art and Archaeology at Johns Hopkins University, where she has taught since 1986. 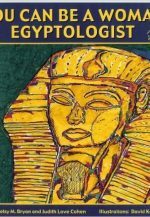 Dr. Bryan specializes in the history, art, and archaeology of the New Kingdom in Egypt, ca. 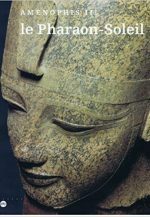 1600-1000 B.C., with a particular emphasis on the 18th Dynasty, ca. 1550-1300 B.C. Dr. Bryan's research interests include the organization and techniques of art production as well as the religious and cultural significance of tomb and temple decoration. As part of this research she has studied the unfinished elite painted tomb of the royal butler Suemniwet, ca. 1420 B.C. 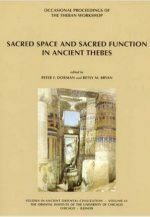 and is publishing it as a study in painting and its social meaning in the mid-18th Dynasty. Her current fieldwork is in the temple complex of the goddess Mut at South Karnak, which she divides with the Brooklyn Museum's expedition. Dr. Bryan's research focuses on defining the earliest forms of the temple of Mut of Isheru. 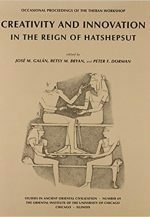 Retrieval and restoration of the decoration and architecture of the Hatshepsut and Thutmose III-era shrine is her present field project and is enlarged by study of the rituals represented by the early remains. Dr. Bryan has also been interested in the presentation of Egypt's visual history to the public and has curated two major loan exhibitions. 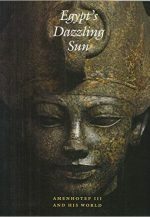 Between 1986 and 1993 she collaborated with Arielle Kozloff and the Cleveland Museum of Art in creating an exhibition on the art of the reign of Amenhotep III, "Egypt's Dazzling Sun." The exhibition, which opened in Cleveland in 1992, traveled to the Kimbell Museum and then to the Grand Palais in Paris. The form presented in Cleveland won the Apollo award as best exhibition of the year. 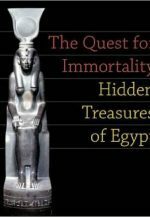 As guest curator Dr. Bryan also worked with the National Gallery of Art for the traveling exhibition from Egypt, "The Quest for Immortality," which opened in Washington, D.C. in 2002. That exhibition featured art illustrating the New Kingdom concepts of afterlife, particularly associated with the funerary book called the Amduat, "that which is in the netherworld." A facsimile of the burial chamber of king Thutmose III was part of the exhibition. The show traveled in the United States through 2006. Dr. Bryan has also consulted for reinstallations at the Walters Art Museum and the National Museum of Natural History. 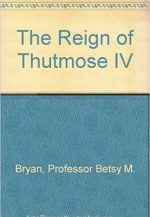 Books by Dr. Bryan have treated The Reign of Thutmose IV (1991), Egypt's Dazzling Sun: Amenhotep III and his World (1992), The Quest for Immortality: Hidden Treasures of Ancient Egypt (2002), and a children's book entitled You can be a Woman Egyptologist. 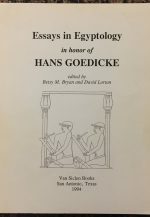 Edited volumes: Essays in Egyptology in honor of Hans Goedicke (San Antonio: Van Siclen Books, 1994); Co-editor with Peter Dorman, Sacred Space and Sacred Function in Ancient Thebes (Chicago, 2007). 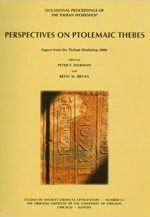 A few recent articles include: "A Legacy of Amenhotep III in the Temple of Mut," in Susan D'Auria, editor, Offerings to the Discerning Dye: An Egyptological Medley in honor of Jack A. Josephson (Leiden, 2009), 63-72; "Memory and Knowledge in Egyptian Tomb Painting," in E. Cropper, editor, Dialogues in Art History (National Gallery of Art, Washington, D.C., 2009), 19-39; "A Newly Discovered Statue of a Queen from the Reign of Amenhotep III," in Susan D'Auria, editor, Bakenmut: Studies Richard A. Fazzini (Leiden, 2007), 32-43.